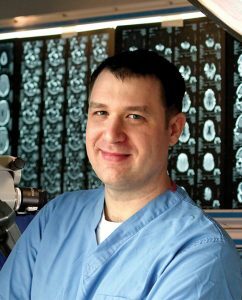 Dr. Bauer is a fellowship-training neurosurgeon and has spent the last ten years training in all aspects of care for complex cerebrovascular and skull base pathologies, including surgery, radiosurgery and endovascular procedures. Boulder Neurosurgical & Spine Associates is the first and only neurosurgery-driven endovascular program for the Front Range. Dr. Bauer is an endovascular neurosurgeon which is a technique that uses very small tools and x-ray guidance to diagnose and tree conditions inside blood vessels. Cerebrovascular and endovascular neurosurgery deals with the treatment of diseases that affect the blood vessels of the brain and spinal cord. “Cerebrovascular disease and brain tumors are life-altering events. Often occurring acutely in otherwise normally functioning individuals, these events can be quite intimidating. 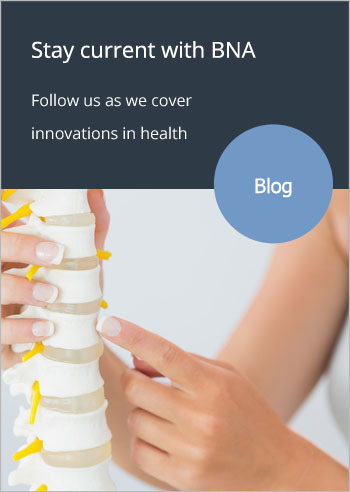 It is not uncommon for patients to be told that there are no options. While these problems may be complex, it is important to remember that there are always options. It is our role to help determine which of these treatment strategies may work best for you. “It was the complexity and severity of the problems that drew me into neurosurgery. I have spent the last 10 years training in all aspects of care of complex cerebrovascular and skull base pathologies. Often times, these modalities can be used in conjunction to decrease the complexity of the problem and improve the safety and efficacy of treatment. While many doctors train on only one of these modalities, I wanted to be able to offer the largest number of options to my patients and increase safety and efficacy by combining these strategies.